Sixty-four voluntary organizations will benefit from a total of € 833,564 to carry out a total of sixty-six different projects in the community. Among of these voluntary organizations qualified for the grant are a number of musical societies, sports clubs, associations working in the field of human rights and people with disabilities, cultural associations, organizations working in the field of at first aid and organizations to raise awareness about diseases and medical conditions. 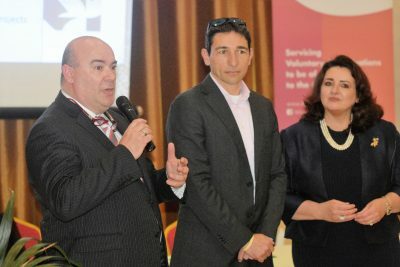 The Ceremony was raised by the Malta Council for the Voluntary Sector where the grant agreements were presented to the beneficiaries by the Minister for Social Dialogue, Consumer Affairs and Civil Liberties Helena Dalli. The Minister, Hon Helena Dalli praised voluntary organizations carrying out important work to improve people’s lives. Minister Dalli explained how this year the government increased the amount of funds to voluntary organizations so that more projects are created. The Minister Helena Dalli said that the Government will continue to assist the voluntary sector including the opening of two new centers for voluntary organizations in Rabat and Marsaxlokk. 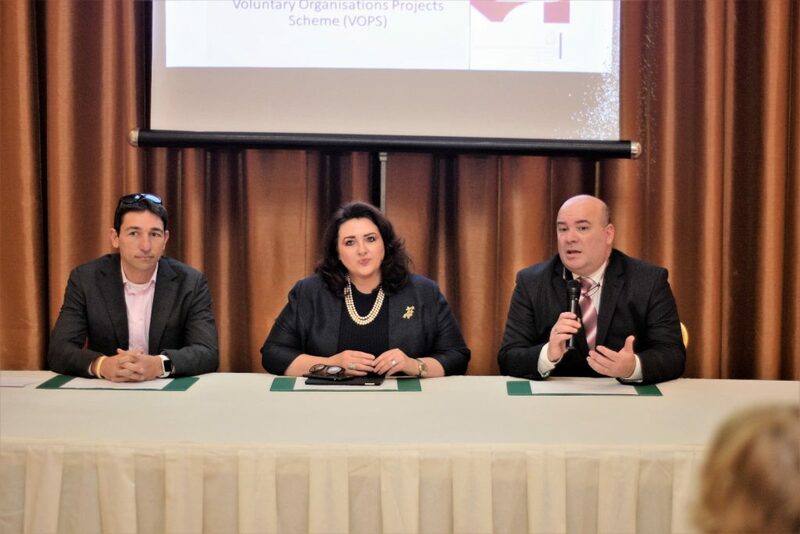 The Chairman of the Malta Council for the Voluntary Sector Nathan Farrugia said that the substantial investment being made in the sector is showing confidence in the work of voluntary organizations. He explained how the Council, for the last two years is working on creating a fundraising portal for voluntary organizations, which is expected to be operational in the coming weeks. Thirty-three projects under the Voluntary scheme Organisations Project Scheme (VOPs) administered by the Malta Council for the Voluntary Sector covers research programs, and integration, project addressed the LGBTIQ community, media programs -xandir, conferences, Emergency Response units and resources for children of different abilities. In this scheme, each Organisation receives 80% of the funds, up to a maximum of € 25,000 in the case where the project is managed by one union and up to € 60,000 should the project is managed by two or more organizations. With € 100,000 of the total allocated to cover small projects under the Small Initiatives scheme Scheme (SIS), voluntary organizations will be receiving up to € 3,000 each. These projects include creating websites, publishing on domestic violence, programs about music and learning program on culture for people of different abilities. The grants were presented by the Hon. Helena Dalli Minister for Social Dialogue, Consumer Affairs and Civil Liberties together with Mr. Nathan Farrugia, Chairperson MCVS.